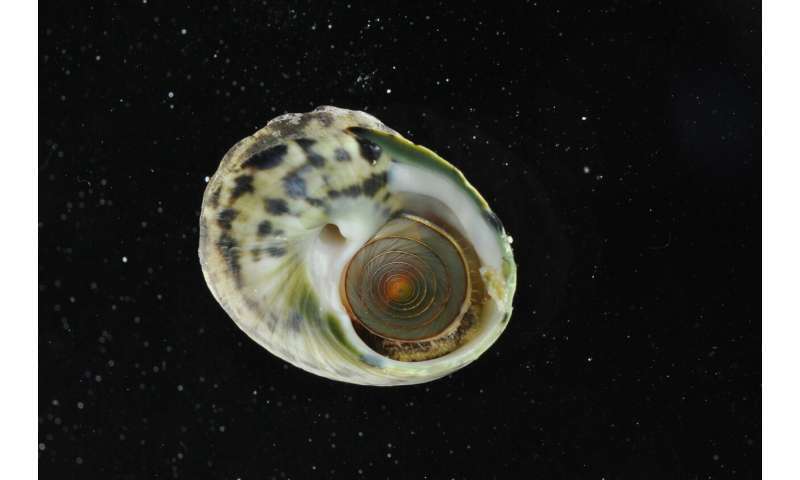 Researchers have long thought that snail and clam shells found at Caribbean archaeological sites were evidence of "starvation food" eaten in times when other resources were lacking. Now, a University of Florida study suggests these shells may be evidence of children helping with the grocery shopping—A.D. 400 style. "It's not that people were starving. It's that children were contributing to their own subsistence in a meaningful and very efficient way," Keegan said. "We need to think of children as active members that influence site materials and their distribution. It changes the whole attitude about the collection in the archaeological site." "Children are really the last group to receive any attention because to archaeology, they sort of look like little adults," he said. "Efforts to identify children so far have emphasized badly made objects, miniatures and things that look like toys—it isn't a complete perspective." "If your parent needs to go to the grocery store, you have to go with them," Keegan said. "If you can do more than pull candy off the shelf, then you're that much more helpful." 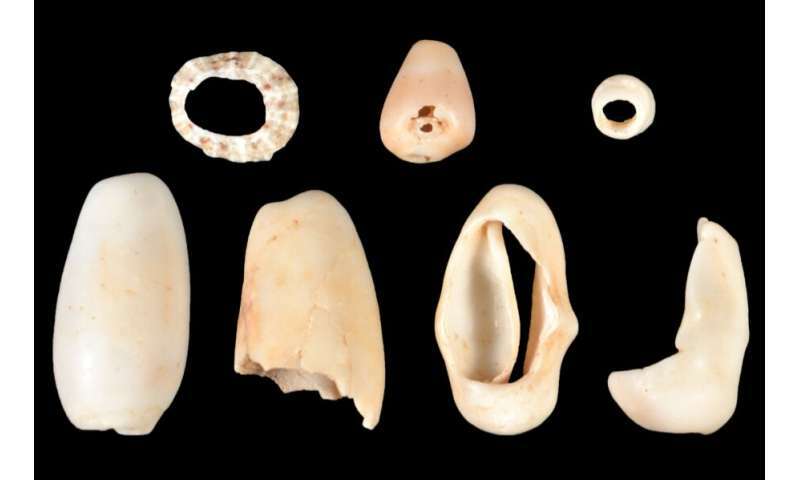 Researchers found a variety of modified shells at the St. Thomas site, including three beads cut from shell and polished, top row, two beads made from Oliva shells, bottom left, and two Cyphoma shells. Credit: William Keegan et al. Shells deposited in middens—mounds of shells and sediment that were once ancient garbage dumps—led Keegan's research team to believe that shellfish had been intentionally brought to the site, eaten and the shells then thrown away. The team also developed seven criteria to help determine if shellfish at archaeological sites were collected by children. Shellfish collected by children are most easily identified by variety and size, Keegan said. Child foragers tend to be generalists, meaning that they're more likely to collect small shells indiscriminately. This research suggests that small, easy to transport and low-yield mollusks found in high amounts on a site indicate the presence of child foragers, he said. "It looked like someone had sent a biology student with a one meter square and told them, 'Collect everything,'" Keegan said. "You can certainly collect a whole bucket of these things and you've got a good meal, but it's a waste of time for an adult to focus on those really small resources when they could be out collecting specific snails and clams that they know they can get a certain nutritional return on." "What I think is unusual is that the road caps the site. Below the pipes, everything was completely intact," Keegan said. "The archaeologists were fenced in—all day long people were coming up to the fence, and we were showing them what we had, but that's all part of it. We want people to get excited about what we're doing." Excavation was a collaborative effort that included several experts from different disciplines, lending a broader perspective to the team's findings, Keegan said. The team was assembled by David Hayes, a founding member of the St. Croix Archaeological Society and project collaborator.